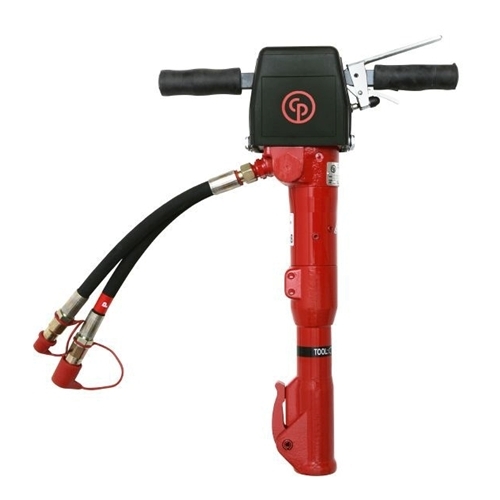 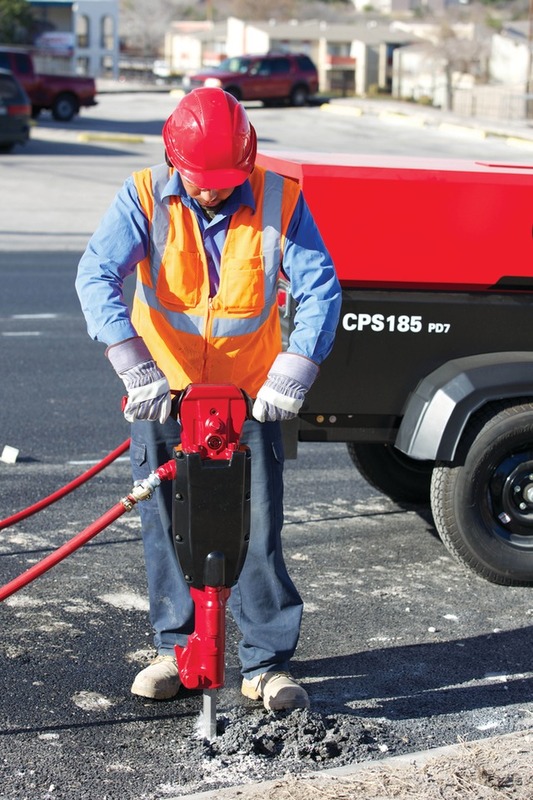 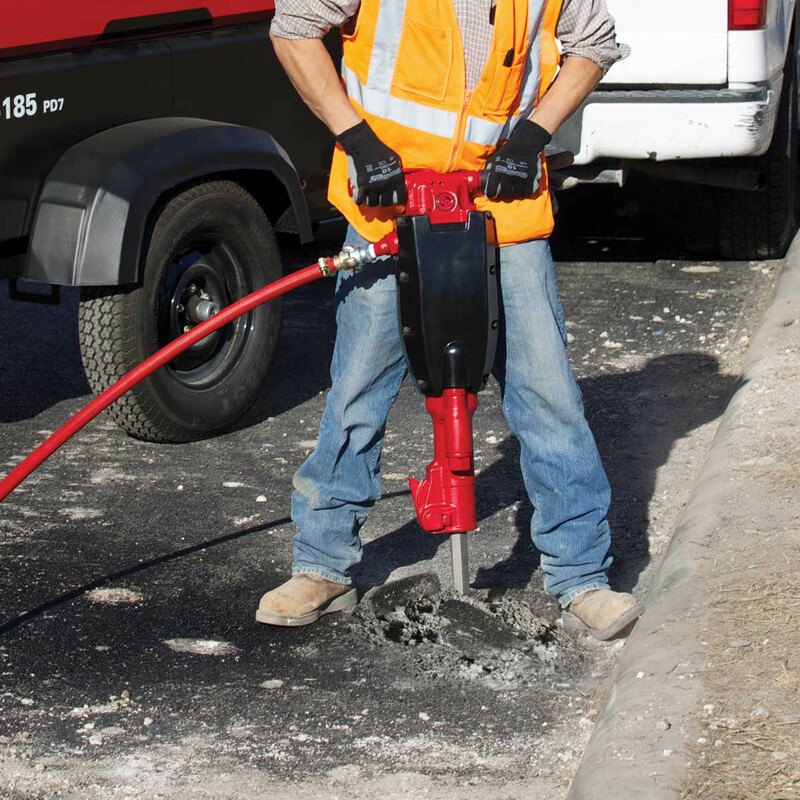 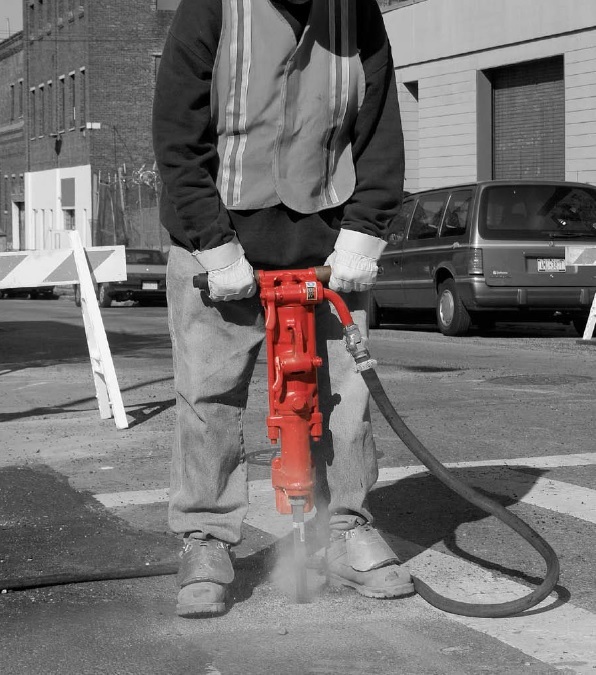 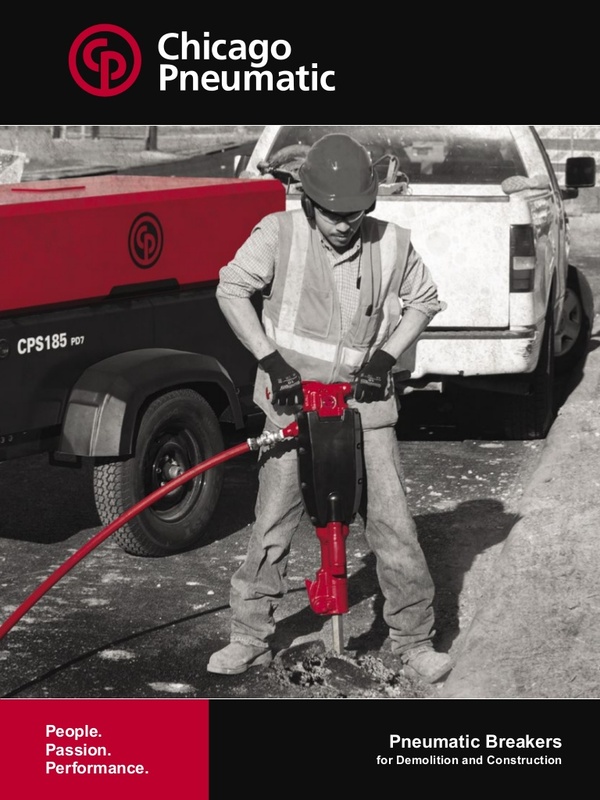 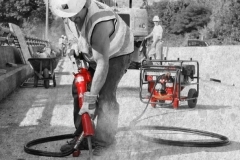 C.P Handheld Pneumatic breakers are reliable with all the power you need to get the job done and more, Models CP-1210, CP-1260, and CP-1290 breaker with sound muffler. 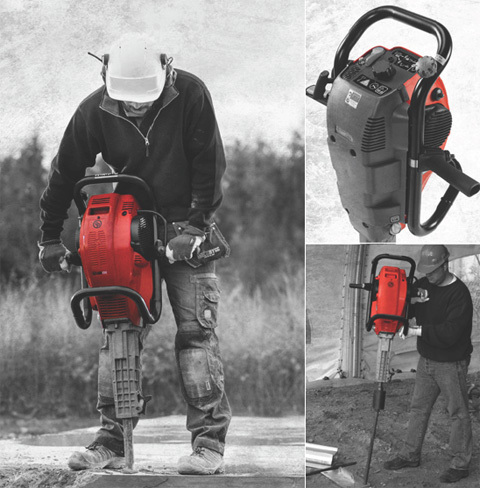 One of the most reliable and productive hammers available. Productivity that far outpaces the cheaper "One-Piece" hammers. 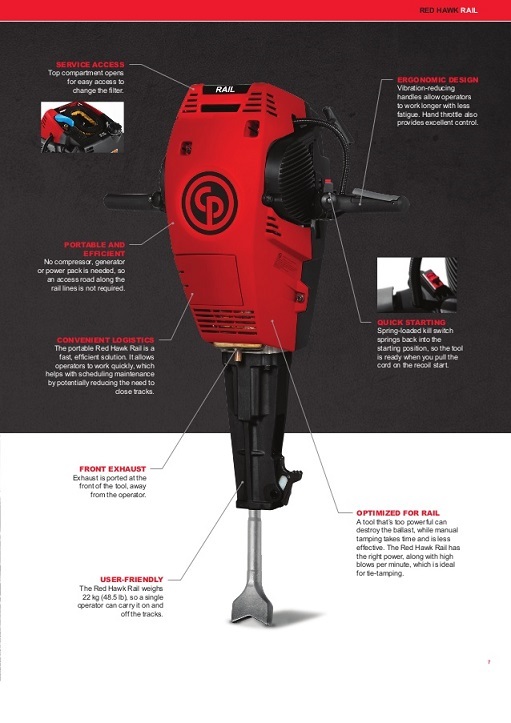 Large bore piston with long stroke delivers maximum hitting power. 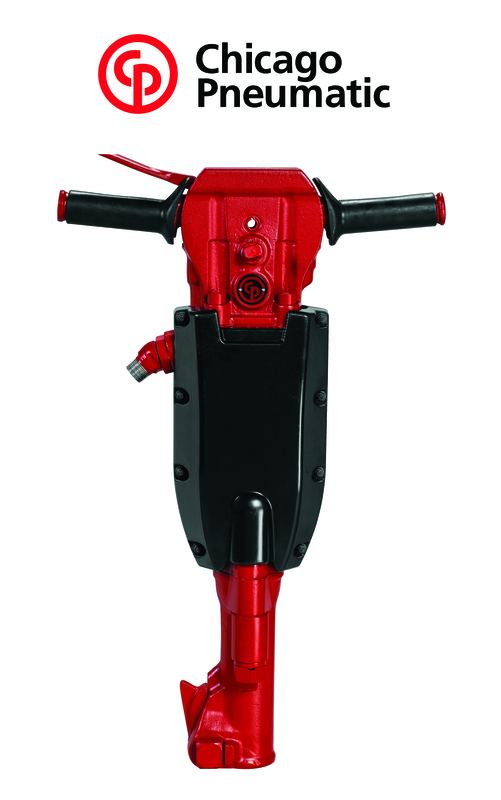 Robust design features 4 bolt handle and 2 bolt front head for easy disassembly. 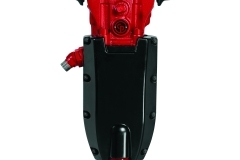 Remove only handle and front head for disassembly. 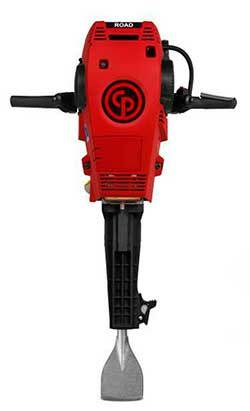 World's largest and most responsive parts network. 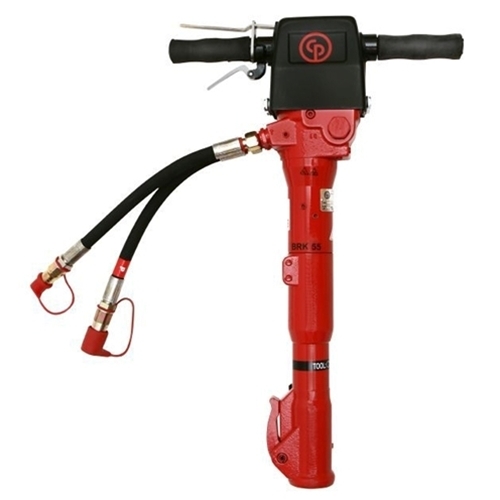 Muffler reduces tool noise to conform to sound ordinances. 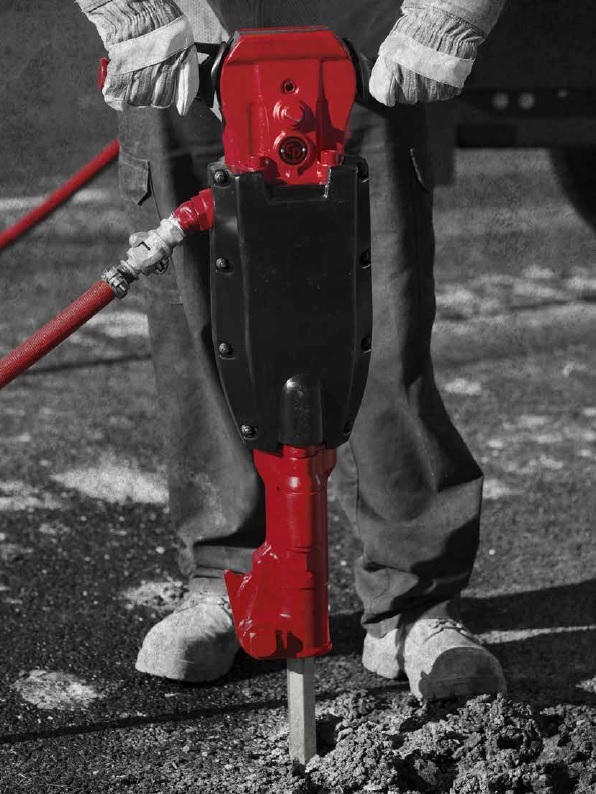 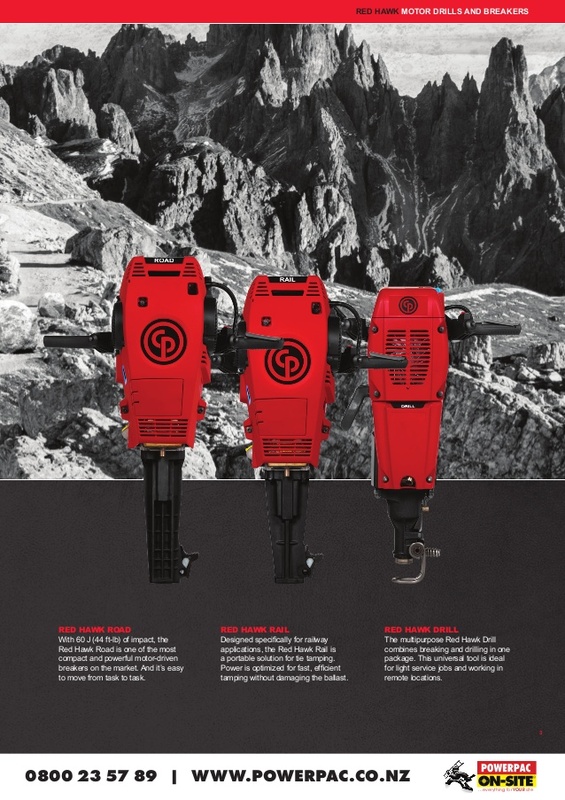 Handheld hydraulic breakers range from flexible, lightweight models up to super heavy duty models. 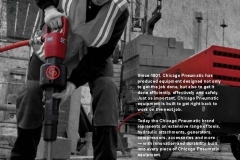 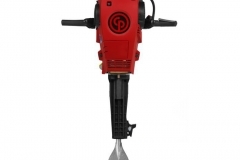 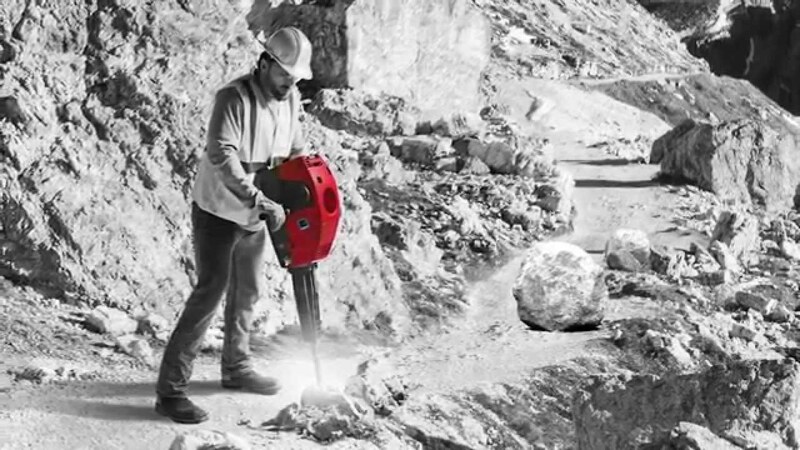 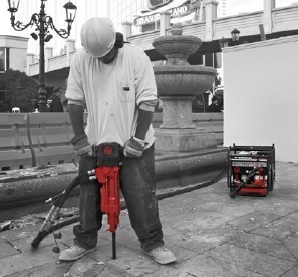 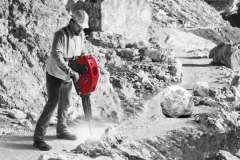 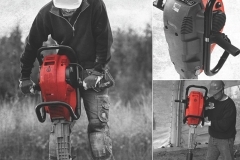 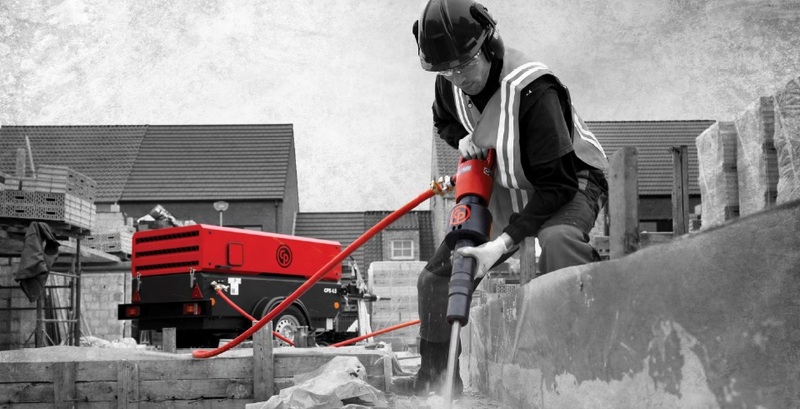 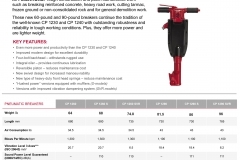 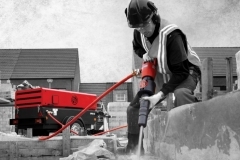 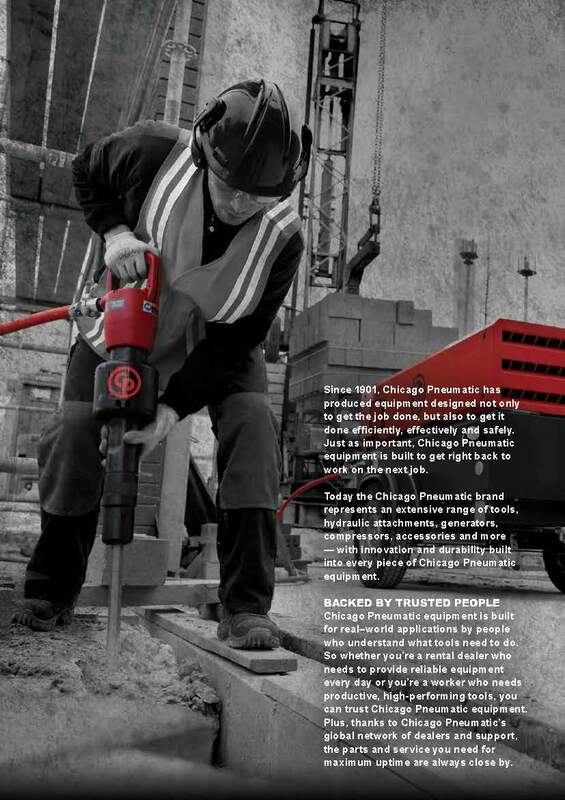 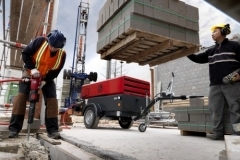 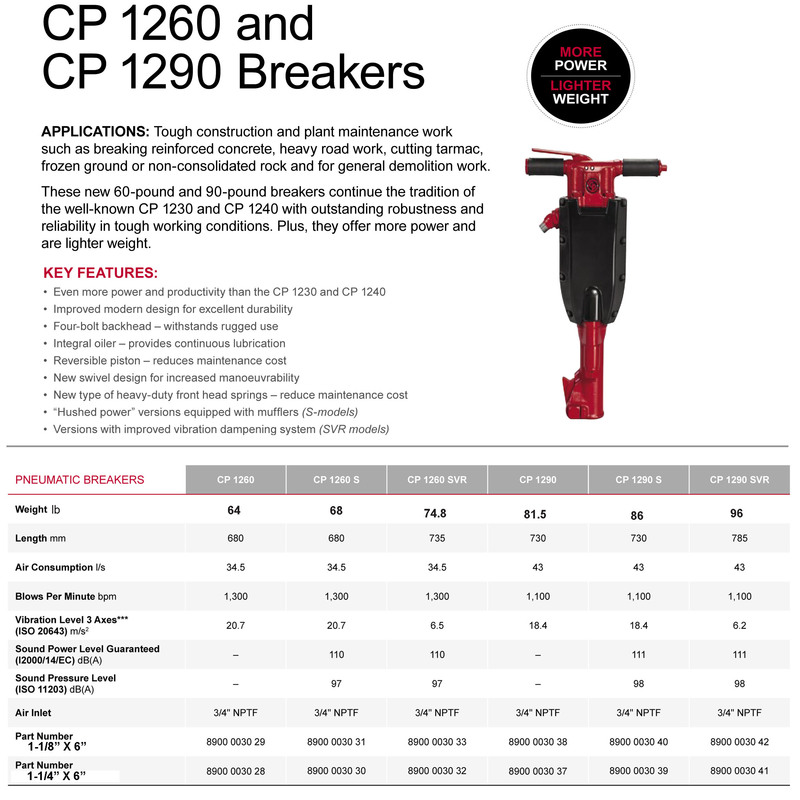 Whatever the job, large or small, light or heavy, CP has the right tool in its breaker range. 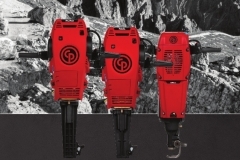 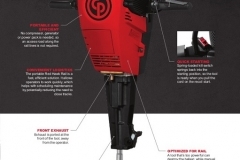 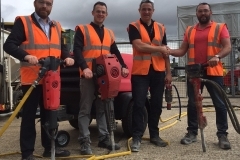 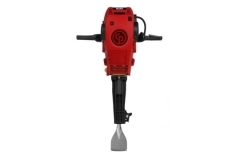 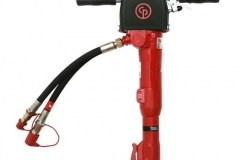 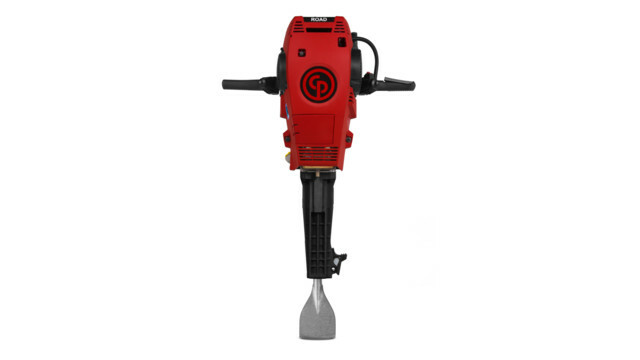 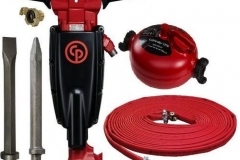 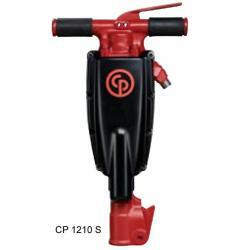 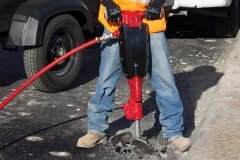 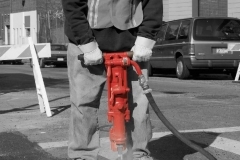 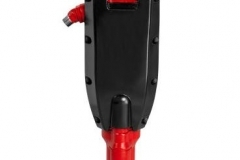 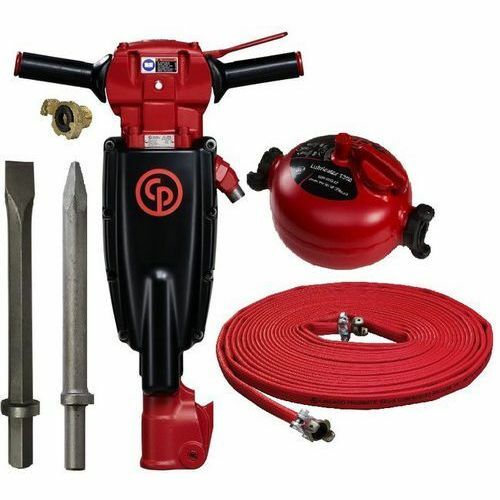 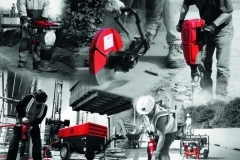 The slim designs of CP hydraulic breakers give a good line of sight to the working tool point. 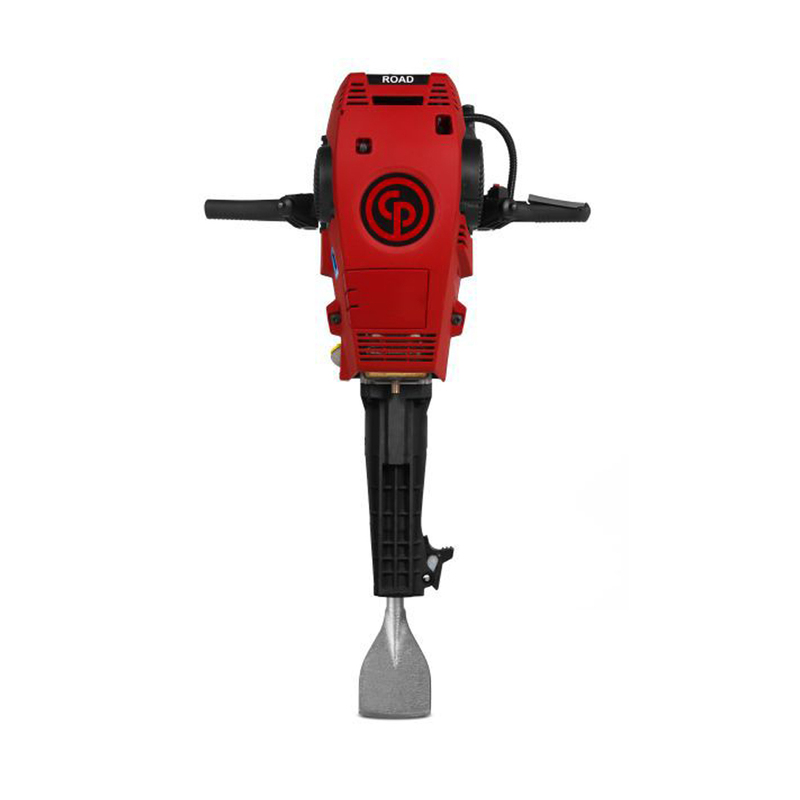 The tools are well balanced, with no external side bolts and protruding machine parts that can come into contact with the operator’s body. 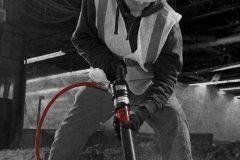 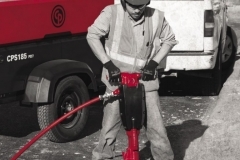 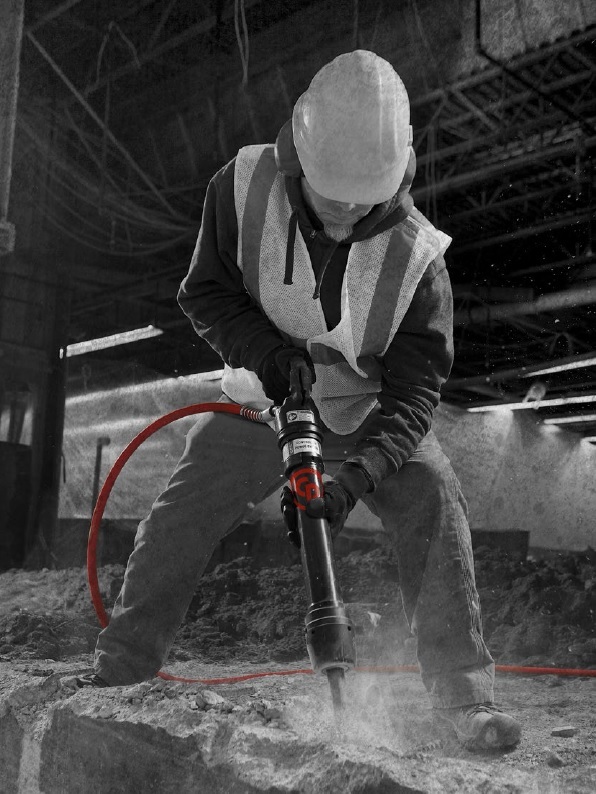 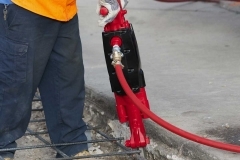 Hoses are fitted with flat face HTMA quick release couplings for fast and easy connections in all work situations. 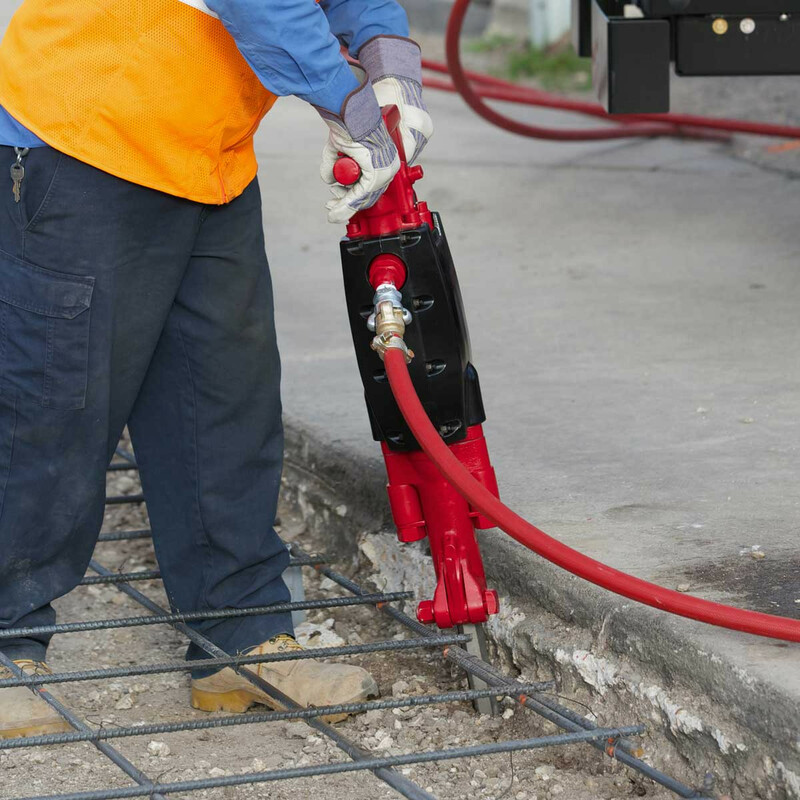 The couplings are designed to help keep hydraulic systems clean on work sites where there are large amounts of dust and dirt. 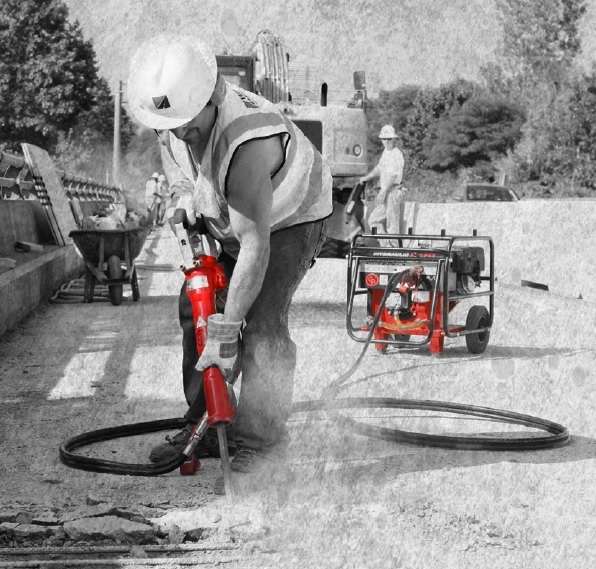 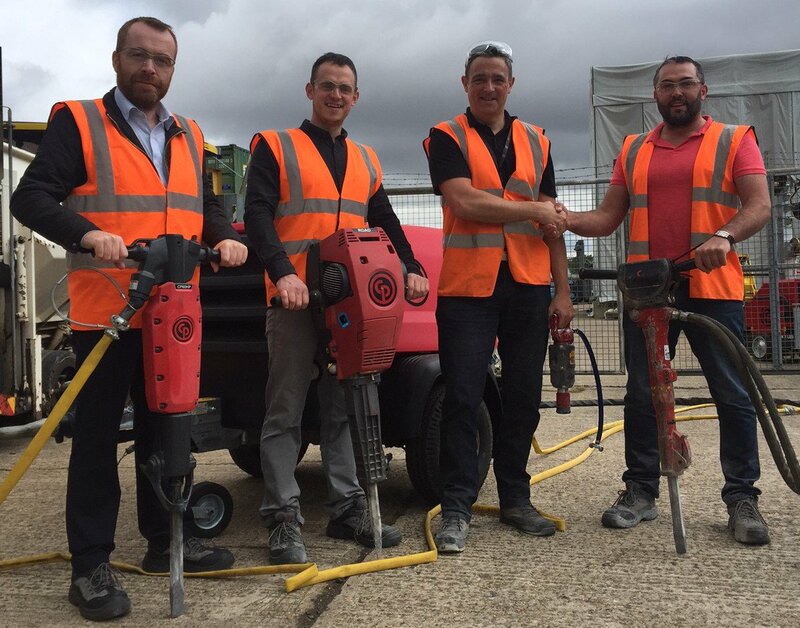 HandheldRed hawk road The Red Hawk Rail offers the right power and high blows per minute for effective tie tamping. It’s compact and portable enough for a single operator to carry it on and off the tracks. 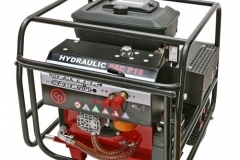 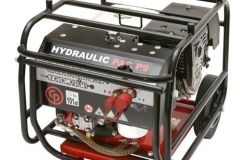 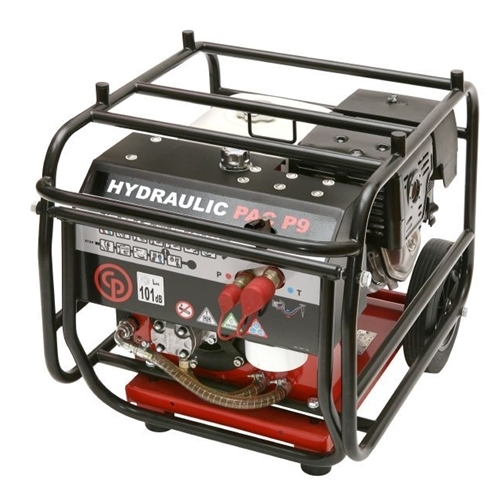 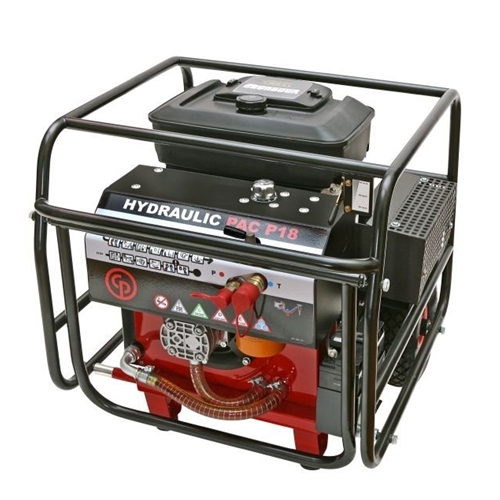 In addition, the Red Hawk Rail is gasoline-driven, so there’s no need for an access road along the rail lines to bring in a compressor, generator or power pack. Applications include breaking concrete and asphalt, sidewalk service, pothole repair/tamping, installing post signs/barriers and fences, and digging frozen or hard ground. 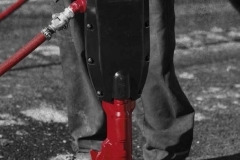 Top compartment opens for easy access to change the filter. 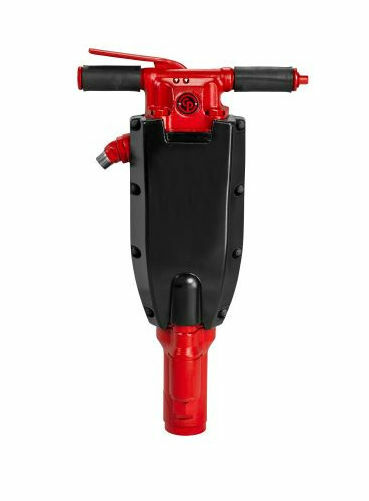 Spring-loaded kill switch springs back into the starting position, so the tool is ready when you pull the cord on the recoil start. 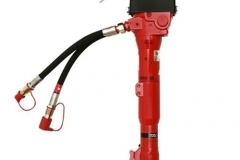 Exhaust is ported at the front of the tool, away from the operator. 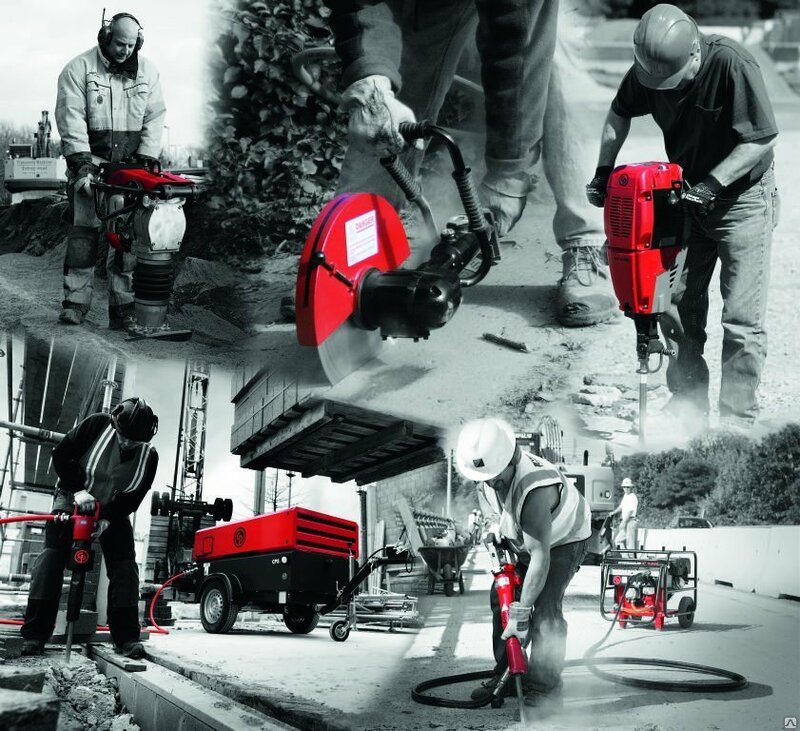 an extensive range of tools allows you to use the Red Hawk Road for everything from cutting and breaking to driving and compacting. 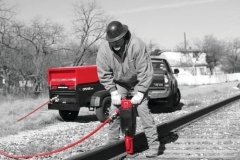 Designed for railway station applications such as tamping around switches and cables. 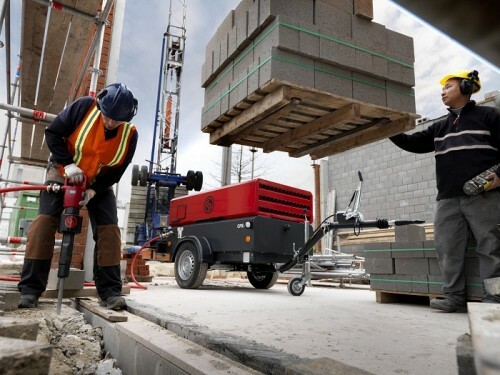 Portable design makes it easy for the operator to move in and out of the work area quickly.